Ekiti State Governor, Dr. Kayode Fayemi, yesterday, inaugurated visitation panels for three state-owned institutions in its drive to reposition tertiary education in the state. Also inaugurated was a Fact Finding Committee for the state’s Broadcasting Service.The visitation panels, which were set up through executive orders signed by the Governor, are for Ekiti State University, Ado-Ekiti; College of Education, Ikere-Ekiti; and College of Health Sciences and Technology, Ijero Ekiti respectively. Inaugurating the panels at the Governor’s Office, Ado-Ekiti, Fayemi charged members to take proper review of the issues that have come up in past few years in the state adding that government constituted the panels because it did not want to act on hearsay from some quarters of the society. The Governor stressed the need for them to conduct a programme of evaluation of the philosophy and targets of the institutions and ensure that academic standard originally envisioned is not devalued.He vouched for the credibility of the members of the panels, saying they are experts in their own rights with track records of expertise, excellence and integrity. While assuring the members of the panels that information needed to succeed in their assignments would be released, the Governor charged them to complete their assignment within the time-frame, in addition to ensuring their reports contain specific measurable recommendations that are implementable. 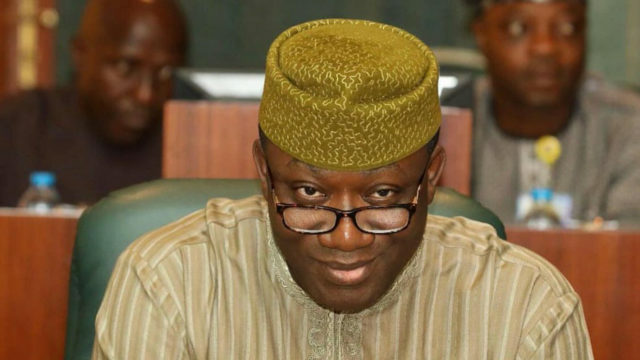 Fayemi said, “Rather than being arbitrary in some of the decisions we had to take, we felt it would be best to have the experts, people who are experienced, people who are knowledgeable, people who are also driven by passion and excellence to help us review some of the issues that have come up in the course of the past few years in our state. We are in no doubt as to your experience, we are in no doubt as to your knowledge and your passion for excellence in the areas we have requested you to serve. “If you take time to look at the terms of reference of these panels which are set up in accordance with the statutes of the various institutions that we are examining, you will see that we are to ensure that this is a very comprehensive assignment. We are not just looking at the laws of the institutions; you are looking at the management of the institution, financial, research, administration and so on. “What is important is that your reports contain very specific measurable recommendations, not nebulous recommendations that are not implementable. It must be very specific and it will be easy to hold us to account if we do not implement the recommendations that you have come up with. For the Broadcasting Service of Ekiti State, the Governor said, “This is an institution that ran foul of the law which caused its closure by the National Broadcasting Commission in order for it not to create crisis in the state. “We have asked those who are in that panel to look into what led to this and how to guide against this in the future and how to try to insulate the broadcasting service from undue political infiltration. It is also important to at least ensure that the statute setting up that institution is adhered to.”The panels have four weeks to submit their reports and recommendations.